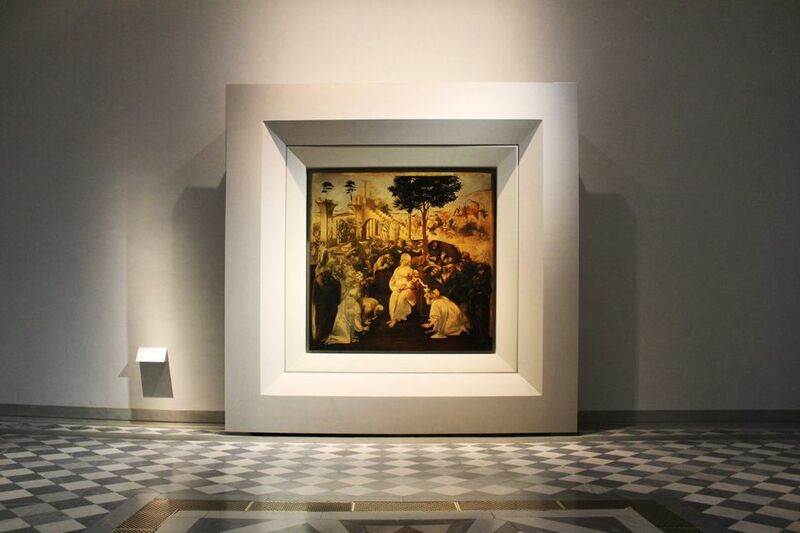 Italy’s celebrations of the 500th anniversary in 2019 of Leonardo da Vinci’s death got off to an early start this week at the Gallerie degli Uffizi in Florence. The venerable art museum opened the exhibition Water as Microscope of Nature: Leonardo da Vinci’s Codex Leicester (until 20 January 2019), a window on to the observant, obsessive mind of a painter who was also a visionary scientific thinker and a working engineer. The focused display sets out to decode what the scholar Martin Kemp describes in the catalogue as “the most remarkable of [Leonardo’s] scientific manuscripts” for its “startlingly radical” ideas. Compiled in Florence between 1504 and 1508, when Leonardo was in his fifties, the Codex Leicester comprises 72 dense pages of notes and diagrams on the movements of water. 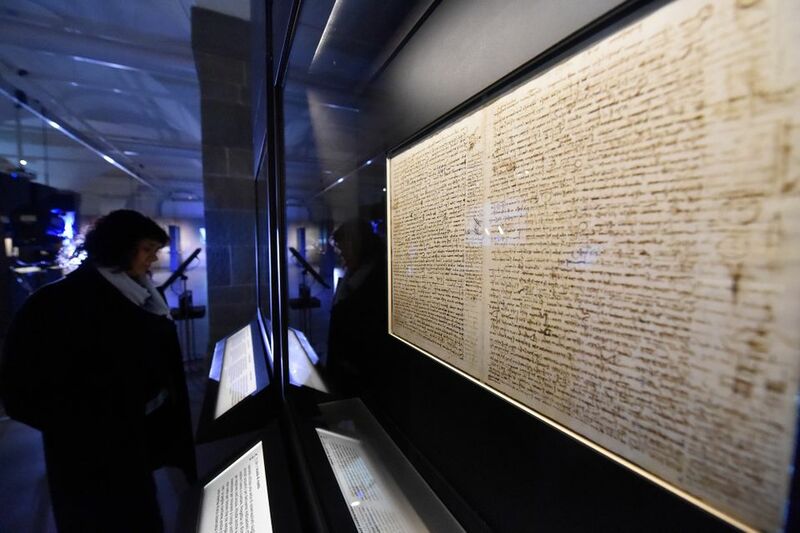 The manuscript, which belonged for more than 250 years to the descendants of the first Earl of Leicester, has been lent by the Microsoft billionaire Bill Gates, who bought it for more than $30m at auction in 1994. The Uffizi’s director Eike Schmidt said at the press briefing that talks for the loan began three years ago, even before his appointment was formally announced. Making a virtue of necessity, the exhibition organised by Paolo Galluzzi, a scientific historian and the director of the nearby Museo Galileo, argues that the Codex Leicester grappled with ideas that were hinted at in Leonardo’s paintings—such as the perception of the sky as blue and the slow stratification of rocks over long periods of time. Water united Leonardo’s musings on fields as diverse as geology, cartography, anatomy and astronomy. The show’s title derives from a metaphor he used in another manuscript, Galluzzi says, of water as the fundamental “vehicle of nature”. Interpreting Leonardo’s text for an international audience today is no mean feat. Written in his characteristic backwards style, which only appears normal when seen in a mirror, the Codex Leicester leaps from the “ashen light” of the moon to the origin of mountain springs, from a discourse against the Biblical flood to how to dam a river. “You will not wonder nor will you laugh at me, reader, if here such big jumps are made from one matter to another matter,” he writes. On another page, he jots down the titles of 15 chapters for a more orderly book on water that he never realised. 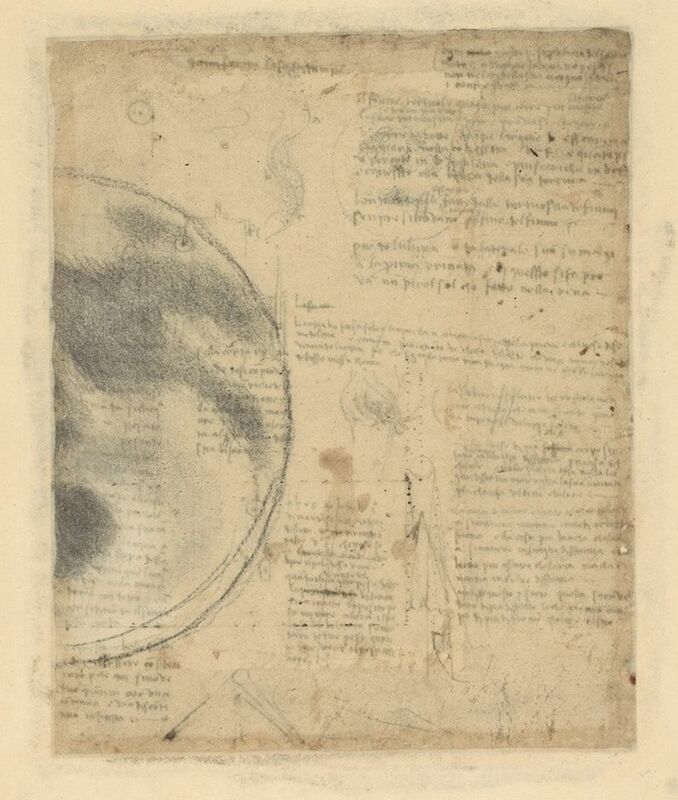 Each sheet of the manuscript is presented in double-sided showcases with summaries of their contents in Italian and English, pointing out here and there where Leonardo made groundbreaking conclusions (that fossils on mountain tops were once marine creatures underwater, proof of prehistoric changes to the Earth’s surface) and where he went wrong (that the moon glowed because its oceans reflected the light of the sun). There are also selected pages from the Codex Atlanticus (Veneranda Biblioteca Ambrosiana, Milan), Codex Arundel (British Library, London) and Codex on the Flight of Birds (Biblioteca Reale, Turin), as well as copies of books that influenced Leonardo. But the real innovation since the Codex Leicester was last shown in Florence—400,000 people saw it at Palazzo Vecchio in 1982—is digital. 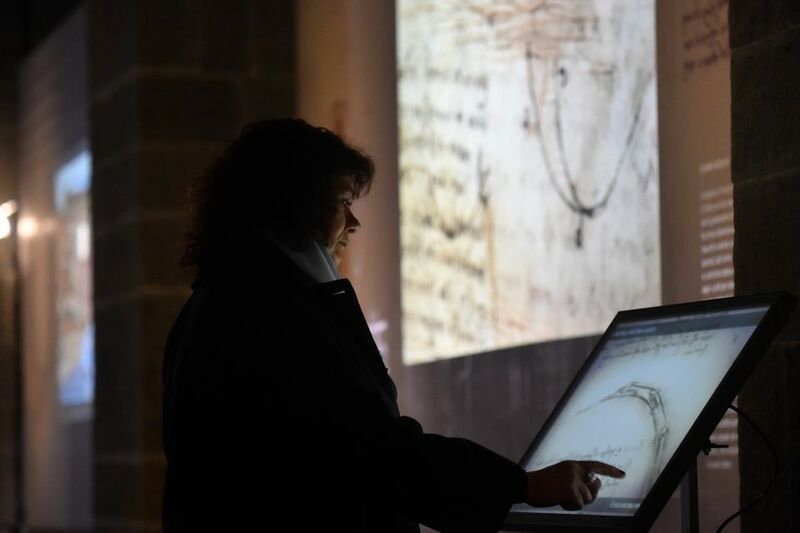 Leonardo’s drawings are animated on large central screens, while six interactive touchscreens enable visitors to pore over the digitised pages, zooming in and accessing full transcripts. Known as the Codescope, the device was sponsored by Bill and Melinda Gates. A minisite of the exhibition will remain accessible online after the Codex returns to the US, Galluzzi said. Financial support for the show also came from the local banking foundation Fondazione Cassa di Risparmio di Firenze, the Florentine luxury menswear brand Stefano Ricci and Italy’s national committee for the 500th anniversary celebrations. A full programme of Italian exhibitions and events honouring Leonardo throughout 2019 is due to be announced in mid-November.